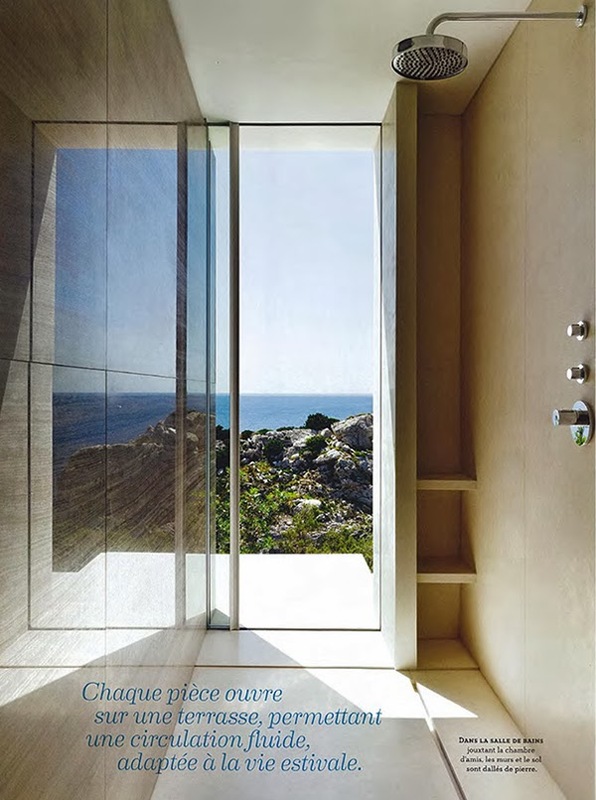 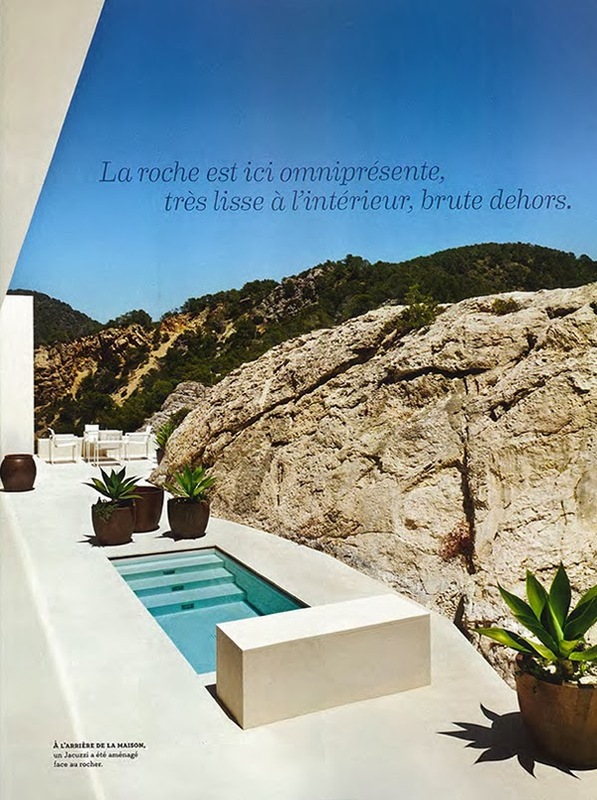 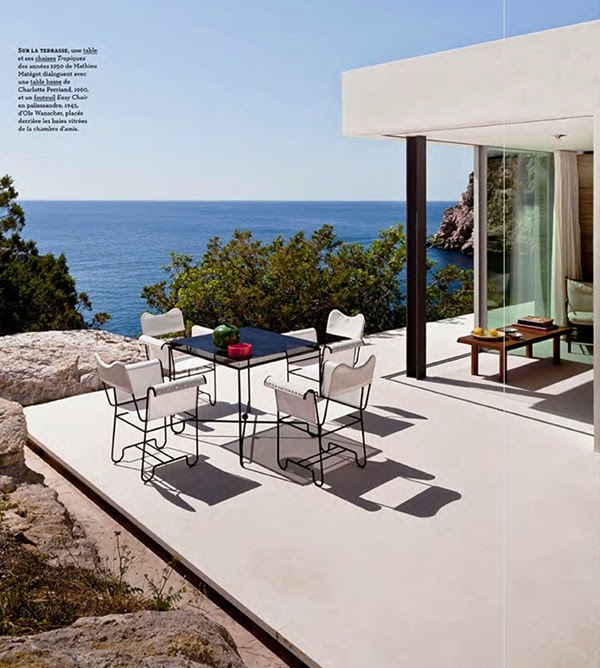 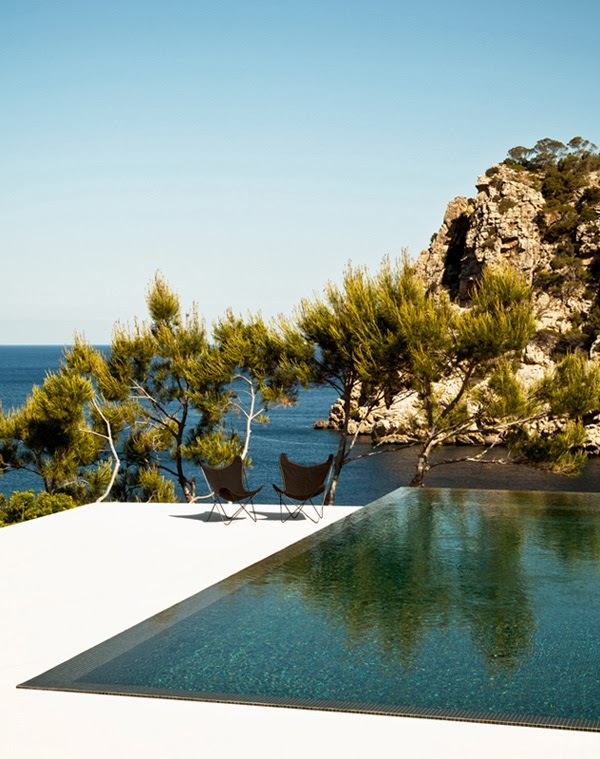 This summer house in Ibiza, Spain, is one of the latest works of Paris based architects and designers of Laplace & Co. 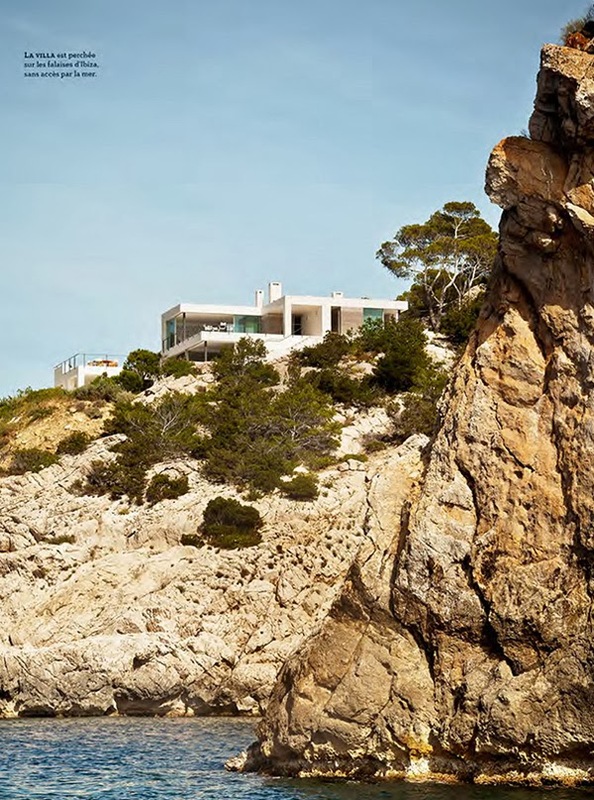 The house is perched atop one of the most coveted rocky headlands on the island, offering amazing views of the Mediterranean Sea to all the rooms and their terraces. 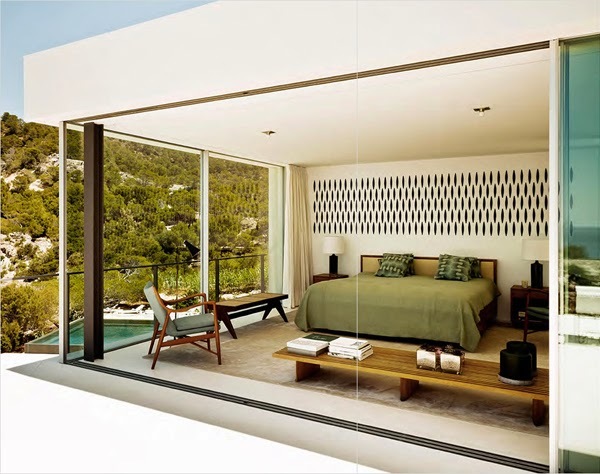 Boundaries between indoors and outdoors disappear when the large sliding windows are opened. 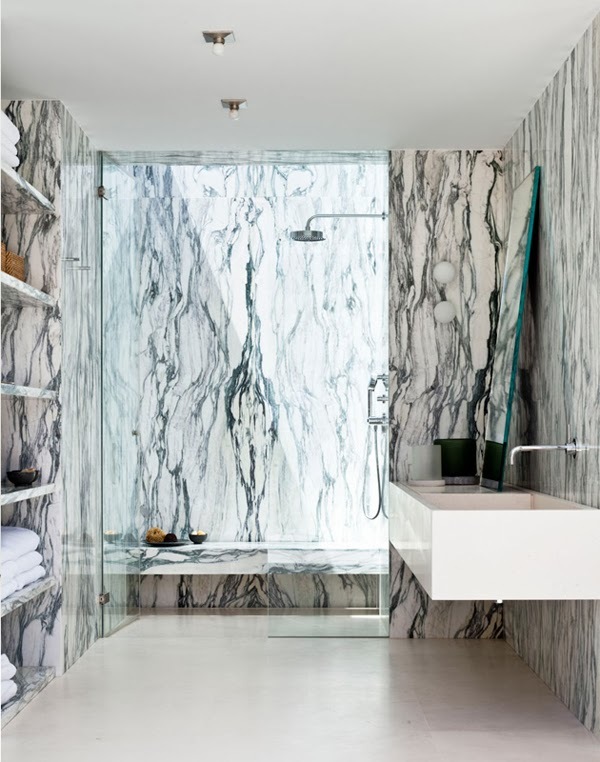 Light marble flooring continues the home’s interior to the exterior terraces. 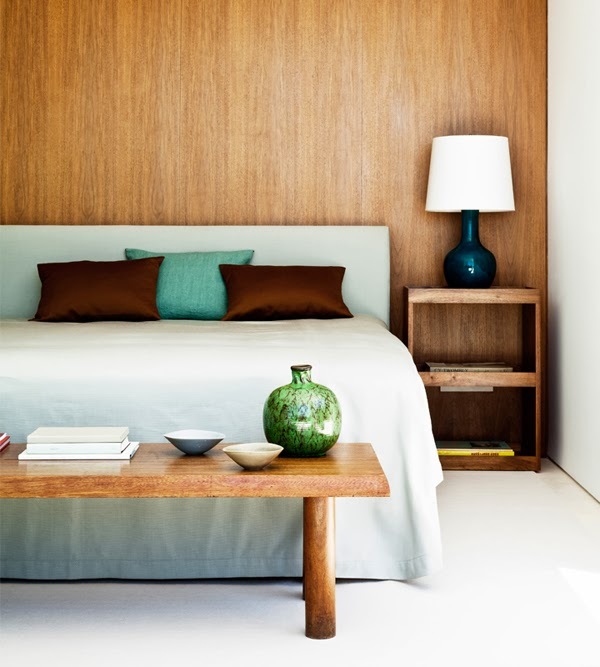 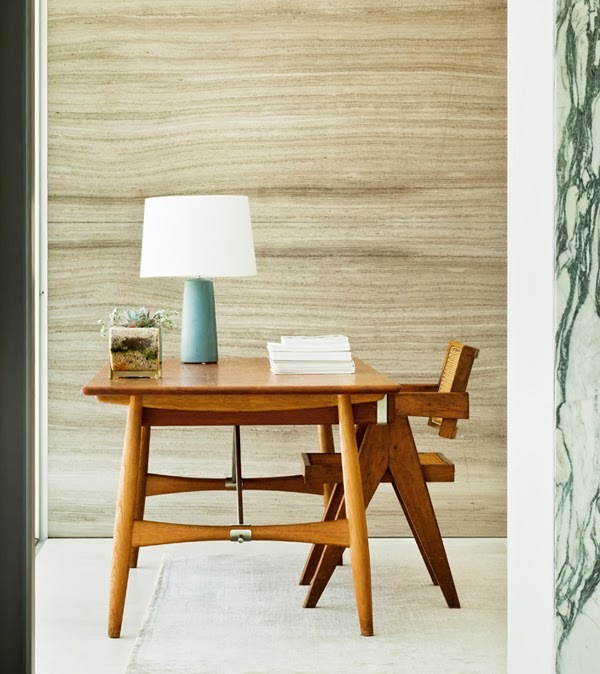 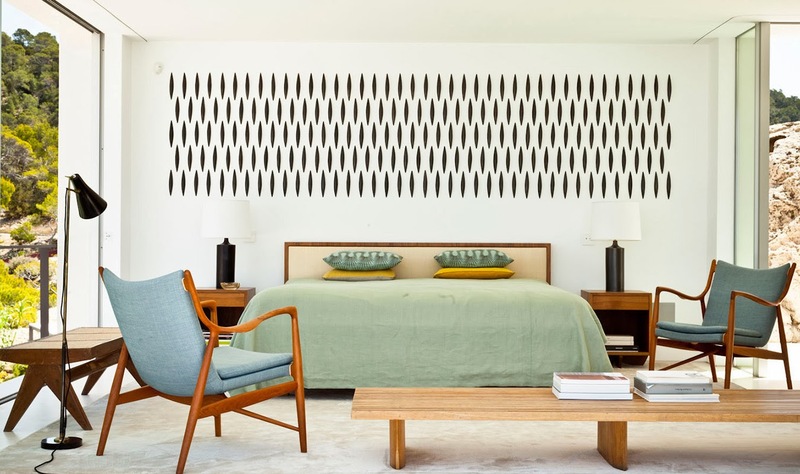 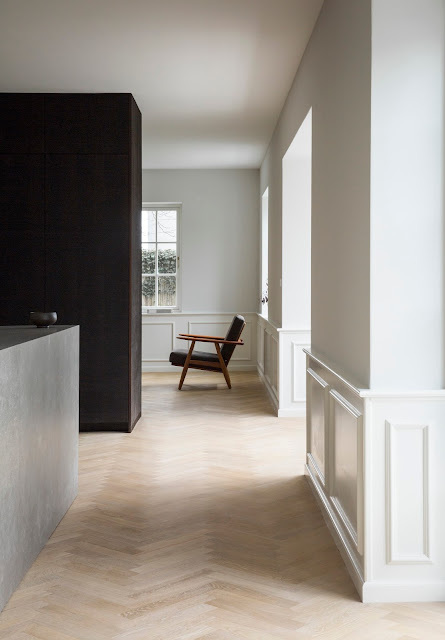 The bright interiors are filled with mid century design pieces, such as a Hans Wegner desk, Pierre Jeanneret chairs and benches, a pair of Finn Juhl 45 chairs, a George Nakashima coffee table and a Hans Wegner shell chair.